Korean fusion has resulted in some unique and surprisingly tasty culinary innovations, most recently the kimchi taco craze that’s taken the US by storm. Fried chicken, originally imported from the states, has taken over a life of its own the Korean restaurant scene. For fried chicken lovers, Korea is a prime place to visit. 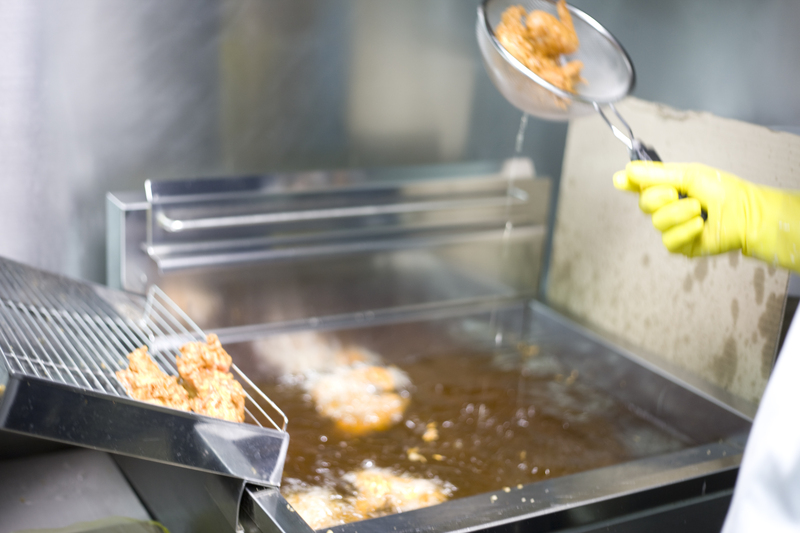 Fried chicken joints have blossomed into fully operating places with sky-rocketing popularity. They can be predominantly found in areas with lots of students and bustling nightlife. Even better, in most cities in Korea, it’s available for delivery, making it that much easier to have it anywhere, anytime. Korean fried chicken has a distinct taste, light yet full of great flavor and satisfying crunch. The batter used is less dense than its southern style cousin, and the chicken is double-fried, resulting in a crunchy yet grease-free piece of fried chicken. It’s typically glazed with a delectable soy-garlic or peppery BBQ sauce. Luckily enough for the rest of us, Korean fried chicken has made its way to the U.S. in a big way. There are fried chicken joints galore in major cities like New York and L.A., such as crazy popular BonChon Chicken, and Kyochon. Better yet, these places are often open until late-night, and fried chicken and beer are a match made in heaven.